Hiring Stoney Pinch means hiring an experienced professional team committed to delivering skilled and professional services for every project undertaken, regardless of size. 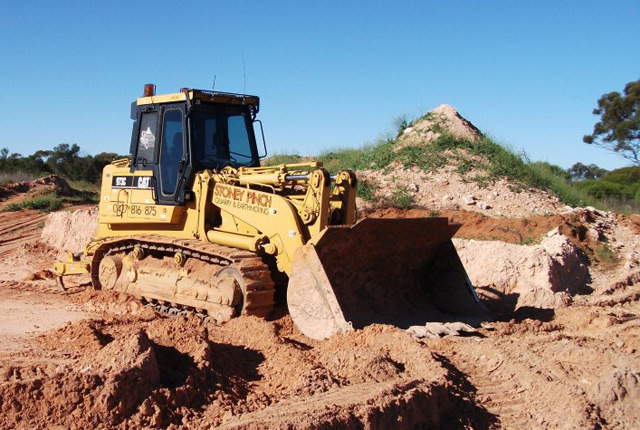 We guarantee a professional Civil Earthworks service to Adelaide and the Riverland areas. We won’t compromise on this promise either. The team at Stoney Pinch are there for you and your needs every step of the way. Our Earthworks service is the superior service in Adelaide and Riverland. If you have questions, or need to change something we are always available. We are here for you throughout your Civil Earthworks project. If your next Civil Earthworks project needs to be completed on time and to your budget, look no further than Stoney Pinch. We have a team of dedicated staff, with over a decade of experience, who are always on the lookout for innovative industry changes to implement within our business. Our civil earthworks team have delivered major projects across Adelaide and our mission is simple. We strive to deliver the best value projects while taking care of our client’s needs and wants whilst increasing expansion and sustainability through continues Improvement and awareness of the environment. Every Stoney Pinch team member and contractor has access to our comprehensive safety program which includes training, monitoring and up to date communication on any new laws, regulations and innovative techniques. This keeps our business current and our team updated, so that you can be confident we follow the strictest safety guidelines to ensure the competence of the team on your Civil Earthworks project. We collect reports at every step of the project so that we can make sure any project risks are mitigated and resolved quickly to keep your project humming. Contracting with Stoney Pinch on your Civil Earthworks project means you are hiring experienced and highly skilled contractors capable of completing difficult projects with ease. We guarantee your Civil Earthworks projects around Adelaide and Riverland are completed to the highest quality, giving you the best possible end result. Civil Earthworks are usually run on a tight schedule and Stoney Pinch has historically been notoriously reliable on all projects. When you hire Stoney Pinch for your earthworks service in and around Adelaide and the Riverland, you are guaranteed contractors who take your project and their responsibilities seriously, to provide you exceptional service in every aspect. We appreciate you must be able to rely on your earthworks contractors and not only do we keep you updated each step of the way, you can rely on us to deliver your project, on your terms and timeline. If you are looking for a committed Civil Earthworks contractors in the Adelaide and Riverland area or to seek a quote or tender, give our friendly Stoney Pinch team a call on 08 8586 5990.